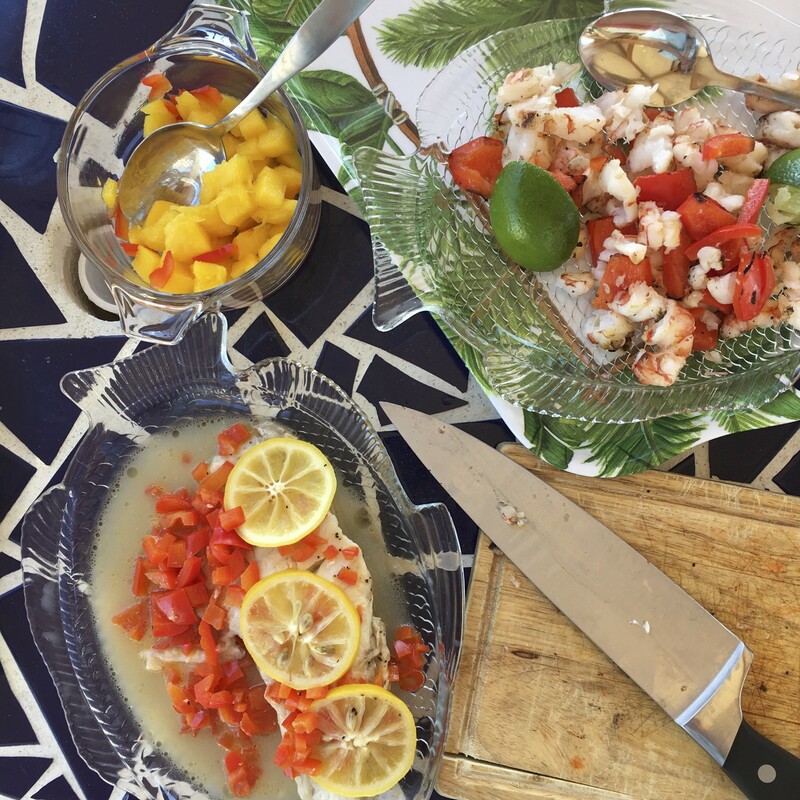 On holiday at the Florida Gulf coast, I made this fresh caught local black grouper. Quick lemon marinade with a little salt and pepper. 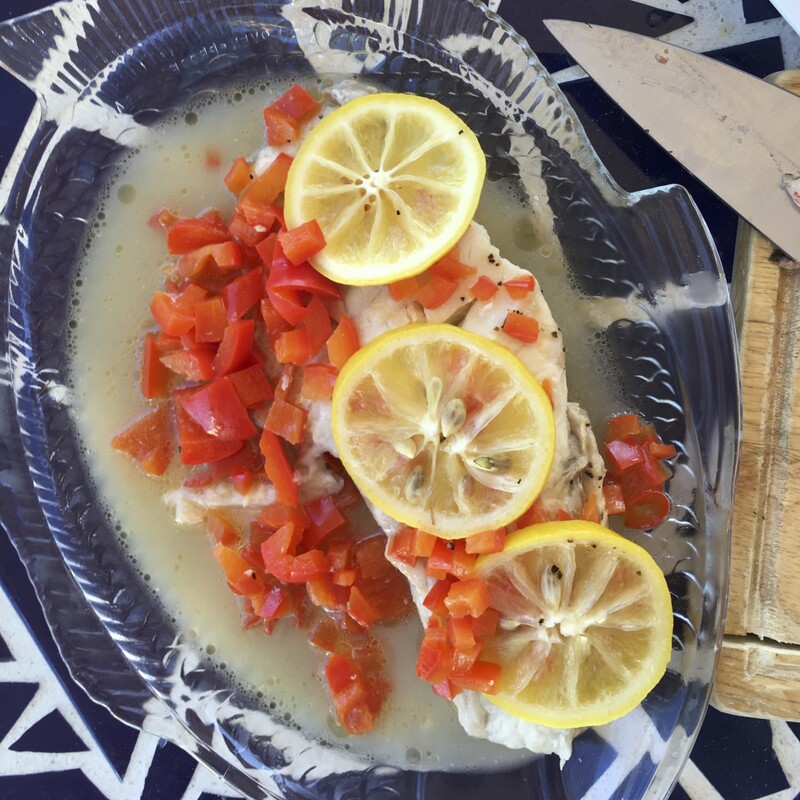 Served with red peppers in a beurre blanc sauce.